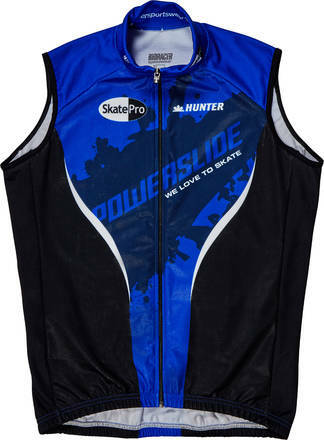 A race vest for high intensive sports like cross-country skiing, running, roller skiing, biking, and speed skating. 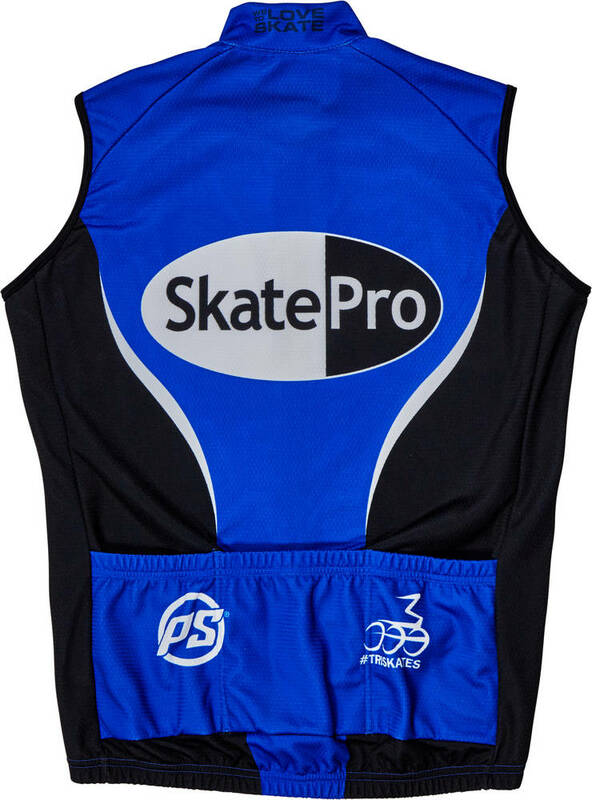 The front of this Skatepro vest is made with wind breaking fabric and the back is breathable. The vest is water repellent and has a full-length zipper and three pockets on the lower back.